Turns out, the DEA and FBI may know what medical conditions you have, whether you are having an affair, where you were last night, and more—all without any knowing that you have ever broken a law. That’s because the DEA and FBI, as part of over 1000 analysts at 23 U.S. intelligence agencies, have the ability to peer over the NSA’s shoulder and see much of the NSA’s metadata with ICREACH. Metadata is transactional data about communications, such as numbers dialed, email addresses sent to, and duration of phone calls, and it can be incredibly revealing. ICREACH, exposed by a release of Snowden documents in The Intercept, is a system that enables sharing of metadata by “provid[ing] analysts with the ability to perform a one-stop search of information from a wide variety of separate databases.” It’s the latest in a string of documents that demonstrate how little the intelligence community distinguishes between counter-terrorism and ordinary crime—and just how close to home surveillance may really be. The documents describe ICREACH as a “one-stop shopping tool for consolidated communications metadata analytic needs.” ICREACH brings together various databases with a single search query,allowing analysts to search literally billions of records. 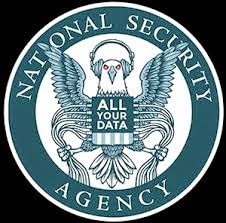 The tool allows sharing of “more than 30 different kinds of metadata on emails, phone calls, faxes, internet chats, and text messages, as well as location information collected from cellphones.” It is intended to include data from Five Eyes partners as well. While the program shares data obtained under Executive Order 12333, it includes data from U.S. persons. Even more disturbing: the cops on your block may be getting ICREACH data passed on to them. The information sharing movement goes beyond just big federal agencies. There are myriad channels through which state and local law enforcement agencies can get the information agencies like the FBI and DHS have. The FBI works directly with local law enforcement through Joint Terrorism Task Forces (JTTFs). Through JTTF memoranda of understanding, officers from police departments across the country work directly under the FBI’s command and agree not to talk about the work they do. Similarly, local agencies and federal agencies share intelligence information through fusion centers, where local law enforcement can access DHS and FBI databases, among others. Visit EFF to read the latest in digital privacy and the steps you can take to preserve your freedom.